The music and projects of Egyptian flautist Fayrouz Kaddal (High Dam Band, Africairo) and British violinist Daniel Merrill (Dead Rat Orchestra) is an exploration of a shared joy in ideas of folk and heritage. 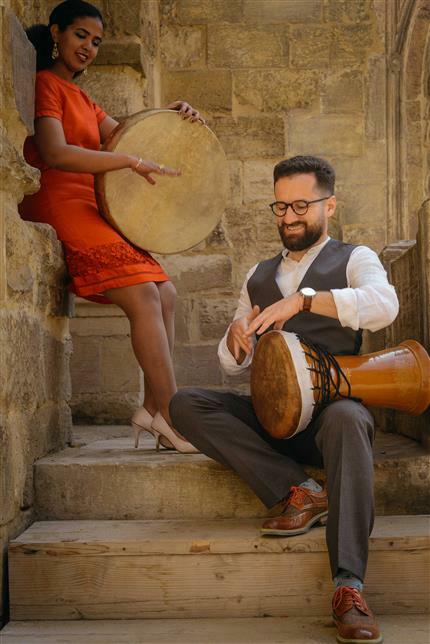 Combining traditionally melodic instrumentation of flute and violin their music is inspired by Nubian, Oriental and British musical traditions. Utilising extended techniques on their instruments they create a distinctively intimate music exploring the couples unique roots. Tickets £8 / £7 concessions.